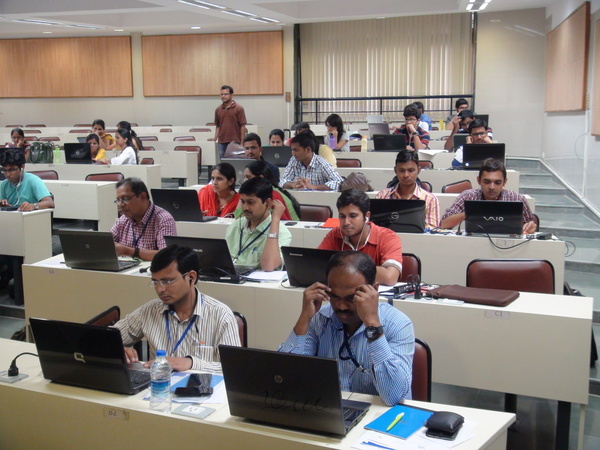 A one day workshop with hands-on training session on SBHS was organized at IIT Bombay. 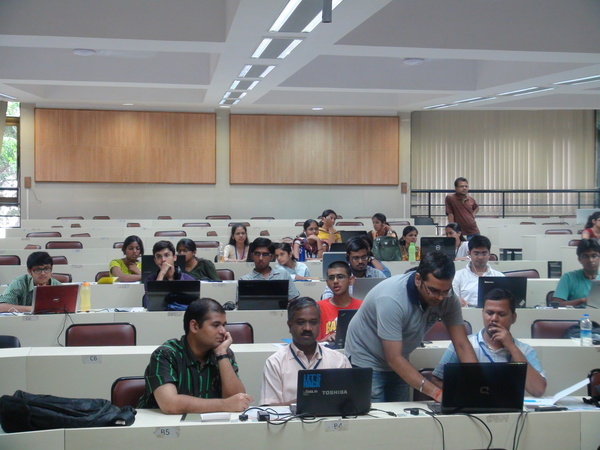 Total 38 participants (faculty members and students) from various domains attended the workshop. 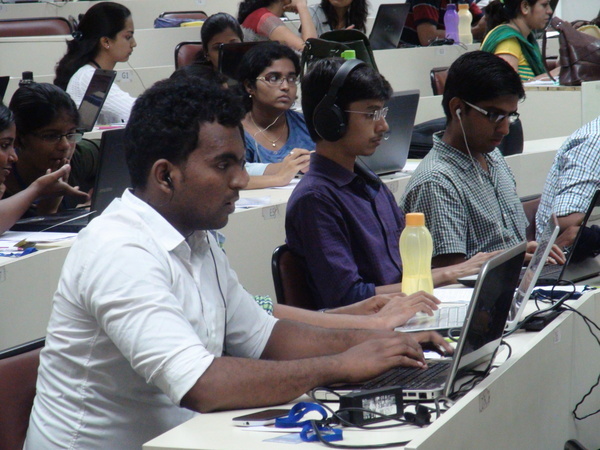 The participants were asked to bring their own laptops. The learning material was provided at the venue. The workshop started at 10 AM. It was inaugurated by Prof. kannan Moudgalya and Prof. Santosh Noronha, professors from Chemical dept. IIT Bombay. Prof. Kannan gave an introductory speech on SBHS, Scilab, Spoken Tutorials and FOSSEE project in general. 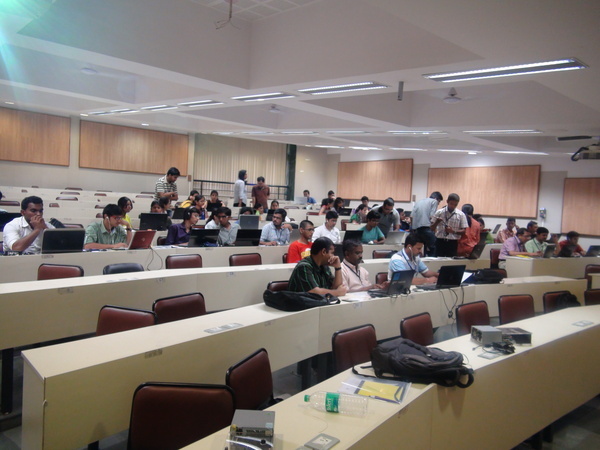 Prof. Noronha talked about the Virtual Lab project and the contribution of IIT Bombay to it. 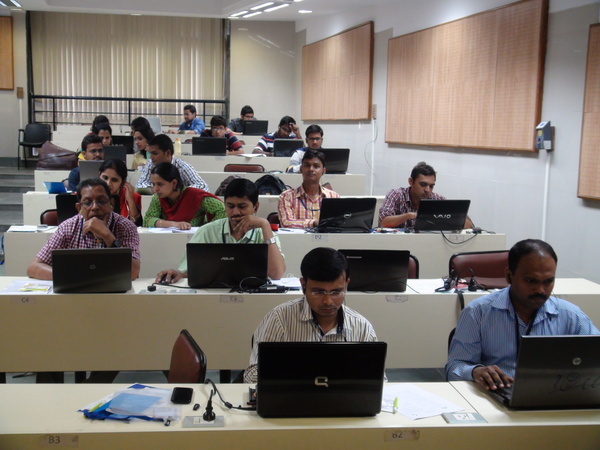 The participants were then asked to listen to spoken tutorials on basic usage of scilab. This was followed by participants performing an experiment, remotely. A few network issues were experience and were solved by lunch time. 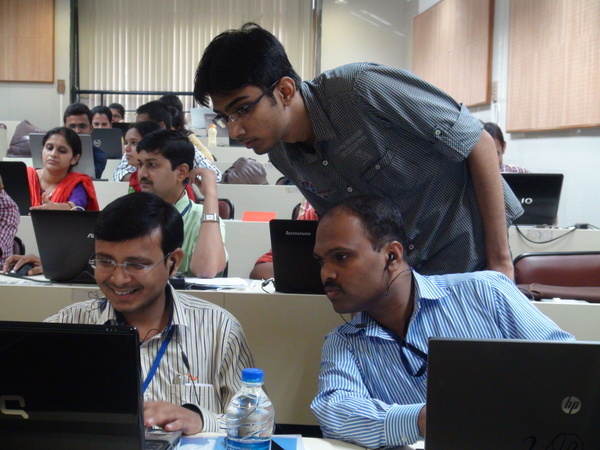 After the lunch break, participants performed two experiments on SBHS, remotely. One open loop and one closed loop. The workshop was concluded by 5 Pm. Participants were asked to fill a feedback form to help us improve the workshop experience. Few participants were interviewed.